Shawn McCadden, a remodeling industry speaker and remodeling consultant, is one of the most prominent figures in the remodeling industry. He obtained his builder's license by age 18; founded, operated, and sold a successful employee-managed design/build firm; co-founded the Residential Design/Build Institute; and went on to become director of education and business innovations for a major national bath and kitchen remodeling franchise company. Today he speaks frequently at industry conferences and trade events, including JLC LIVE and The Remodeling Show, consults with remodeling companies and the supply chain, and writes a monthly column for Remodeling Magazine. Shawn consults with construction-related product manufacturers and LBM suppliers, helping them understand, find, educate and better serve remodelers. With Shawn's help you can learn how to choose the right remodelers to do business with and do more business with remodelers. 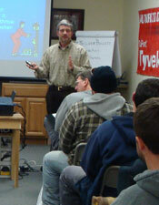 Shawn works with aspiring remodelers, helping them discover, identify and achieve their professional and personal goals. Shawn’s goal as a business coach for remodelers, working with business owners and their employees, is to help them see their opportunities, help them learn how to consistently accomplish their goals and develop the motivation they need to be accountable for their own success. As a well recognized and experienced remodeling consultant, McCadden will show you how to avoid costly mistakes and maintain profitability even during challenging economic times. The game has changed, it's not business as usual anymore! 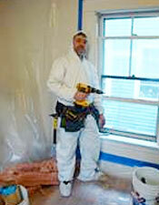 Smart remodelers are finding and taking advantage of opportunities to thrive in this economy. McCadden has years of experience applies them to his work with business owners and their staff as a remodeling business coach and construction business owner mentor. Contractors can maximize profits and eliminate years of frustration by taking advantage of his experience, proven remodeling best practices and remodeling systems. 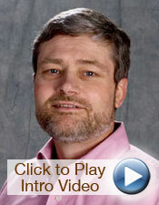 McCadden has years of experience as a remodeling industry speaker for contractors, the supply chain and LBM Dealers. 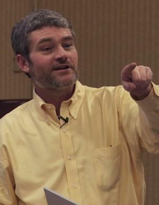 His "in-the-trenches" experiences give him credibility with his audience. Offering a wide range of topics, his fun and interactive presentations help both sponsors and attendees improve their businesses. Remodelers and their businesses are very diverse, with each market segment or niche operating differently. McCadden does presentations for and consults with construction-related product manufacturers and building product suppliers, helping them understand, identify, find, educate and better serve contracors and remodelers. 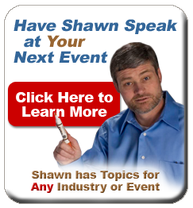 Check To See Where Shawn will be presenting a seminar near you. ...for what I consider to be a transformative event in my business thinking. I have never thought this deeply about why I do what I do or the direction I need to go in. I think I will return to my first meeting Monday with a new vigor and a greater sense of purpose. Thank you.